직육면체의 돌에 천체의 형상을 새겨 놓은 것으로, 조선을 건국한 태조 이성계가 왕조의 권위를 드러내고자 권근, 유방택 등 11명의 천문학자들에게 명을 내려 만들도록 한 것이다. 고구려의 천문도를 표본으로 삼아 그 오차를 고쳐 완성하였는데, 두 부분으로 나누어 내용을 배치하고 있다. 윗부분에는 짧은 설명과 함께 별자리그림이 새겨져 있고, 아래부분에는 천문도의 이름, 작성 배경과 과정, 만든 사람의 이름 및 만든 때가 적혀 있다. 별자리 그림에는 중심에 북극을 두고 태양이 지나는 길인 황도(黃道)와 남북극 가운데로 적도(赤道)를 나타내었다. 또한 눈으로 관찰할 수 있는 별들이 총망라되어, 황도 부근의 하늘을 12등분한 후 1,467개의 별들을 점으로 표시하였다. 이 그림을 통해 해, 달, 5행성(수성, 금성, 토성, 화성, 목성)의 움직임을 알 수 있고, 그 위치에 따라 절기를 구분할 수도 있다. 태조 4년(1395)에 제작된 이 석각천문도는 중국 남송의 『순우천문도』에 이어 세계에서 두번째로 오래된 것이다. 지금은 표면이 심하게 깎여나가서 알아보기가 어려운 부분이 있으나, 고구려 천문도의 원형을 짐작케 하는 귀중한 유물이다. 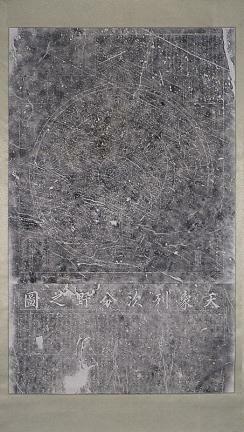 This stone slab with the carvings of a planisphere, a chart of constellations, was made in 1396 by 11 astronomers including Gwon Geun and Yu Bang-taek under orders by King Taejo, the founder of the Joseon Dynasty, to symbolize the mandate of heaven for his new dynasty. 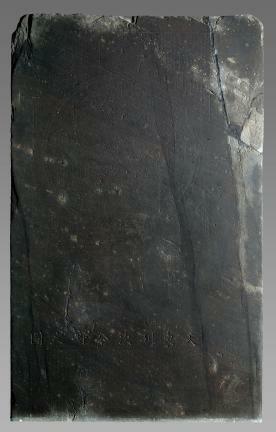 The stone chart is on display at the National Palace Museum of Korea. This planisphere consists of two sections. Much of its content was derived from an old chart made in Goguryeo. Constellations are engraved on the upper portion with brief explanation. The lower portion is inscribed with the name, the background of the production process, names of participants and the date of production. With the North Pole in the center, the chart displays the Zodiac and the celestial equator. The constellations contain all of 1,464 stars visible to ordinary sight. Twelve lines run across the heaven around the Zodiac and the stars are depicted in dots. The planisphere provides information about the movement of the sun, the moon and five planets (Mercury, Venus, Saturn, Mars and Jupiter). In addition the location of constellations conveys the seasonal subdivision. This planisphere is the second oldest of its kind in the world and has a great historical value. The oldest one was made in China. However, some of this invaluable chart is hardly legible due to erosion by time.